A stout lark with a tall crest, this species is also recognized by its heavy flight and loud, musical calls. 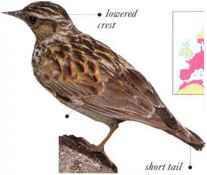 It prefers a mixture of stout, bare ground and vegetation and inhabits probing open, dry landscapes, as well as farmland, bill Unlike most other lark species, Crested Larks sometimes perch on bushes. 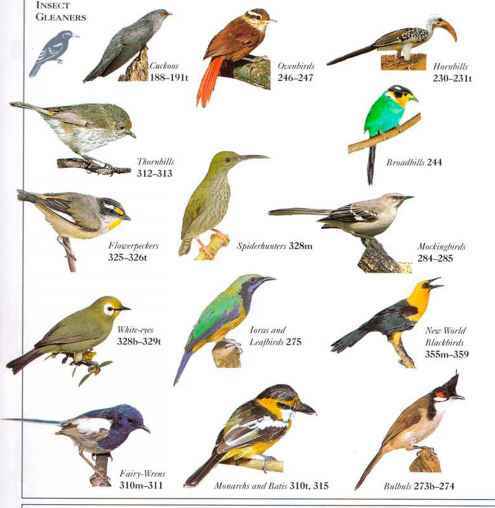 They arc usually seen in pairs or small parties, feeding on seeds, plants, and insects. • NliST A deep cup nest made of grasses, located in a hollow in the ground. • Distribution Europe, Middle East, N. India, China, Africa north of the Equator.